Rescuers achieved the impossible: 12 boys, and their coach, are free. 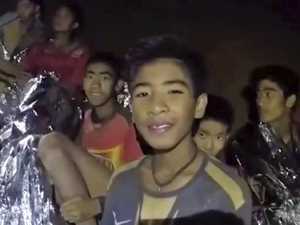 News THE rescued Thai boys were given a sedative to get them through their dangerous journey. Here’s how they pulled off the incredible escape. 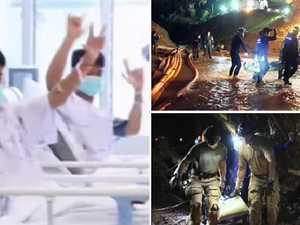 News AS the world celebrates the miracle rescue of a Thai soccer team trapped in a cave, details of a heroic Australian doctor’s role in saving them has been revealed. News As the world rejoices over the cave rescue mission, thoughts have turned to the one person who did not make it out alive. News After being trapped in the Tham Luang cave for more than two weeks, this is what we've all been hoping for. 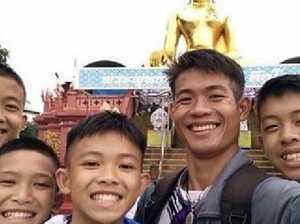 News TEN boys are now free from the Thai cave where they were trapped for more than two weeks with their coach.